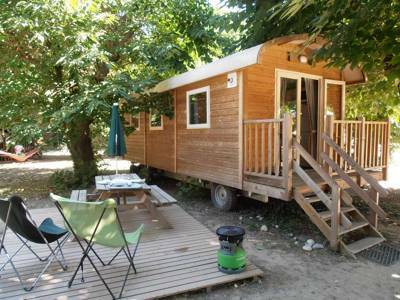 The original and authentic wood trailer with its bohemian spirit offers comfort and charm in Huttopia Lyon. Camping de Lyon welcomes campers all year round in a natural 6 hectare park, ideally located for visiting Lyon and the Beaujolais. An ideal site for a stopover on your way to your holiday destination or a city break to explore the beautiful city of Lyon, classified World Heritage by UNESCO! 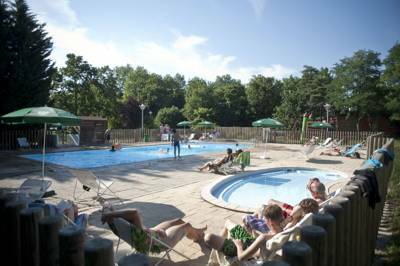 For latest availability and best prices for Camping de Lyon, please use the Date Search above. 3 family-friendly shower and washroom blocks with disabled access, laundry (coin operated), motorhome service point, heated swimming pool and paddling pool (summer only), playground, table tennis, volley ball court, petanque court, free internet (at reception), TV area and common room with books and games to borrow and a small grocery shop for any essentials you've forgotten. BBQs and towels are available for hire. Tourist information in reception and a programme of activities on-site during the school summer holidays. There's a bank 50m away, tennis courts 400m away, a supermarket 500m away and, most importantly, a bus stop 50m away with regular buses running into Lyon city centre. The Musée des Beaux-Arts (0033 4 7210 1740) is a must – stunning but manageably sized, it showcases France's finest collection of sculptures and paintings outside of Paris, include works by Monet, Matisse and Picasso. Stop for a drink on the café's stone terrace while there. On top of the hill, the late-19th-century Basilique Notre Dame de Fourvière is lined with intricate mosaics and is the city's main attraction. Tours run throughout the day. The newer, rejuvenated neighbourhood around the confluence of the Rhône and Saône rivers is now an exciting place to visit, including the Musée des Confluences (0033 4 2838 1190) – a science-and-humanities museum housed in a futuristic, distorted steel-and-glass transparent crystal and one of the city's iconic landmarks. Lyon is also an extremely bike-friendly city. Ditch the bus and take the tour along the quais (the banks of the River Saône and Rhône), particularly Quai St Vincent (underneath La Croix-Rousse looking up to Lyon’s miniature version of the Eiffel Tower). There's an on-site café-restaurant (July and August only, plus evenings during the French May and June bank holidays) where you can have a drink on the terrace and enjoy homemade pizzas or grills. There is also a bar, open every day. Fresh bread and croissants are available each morning if you order the day before. After that, there's the whole of Lyon to explore and who are we to pick from the endless restaurants? Le Kitchen Café (0033 6 0336 4275) on 34 rue Chevreul, though, is a favourite (but be prepared to queue), while trendy L'Ébauche (0033 4 7858 1258), at the bottom of the city’s central hill on rue de la Martinière, is another excellent spot. Lyon has an international airport (0033 826 80 08 26) and an SNCF railway station (0033 892 35 35 35). 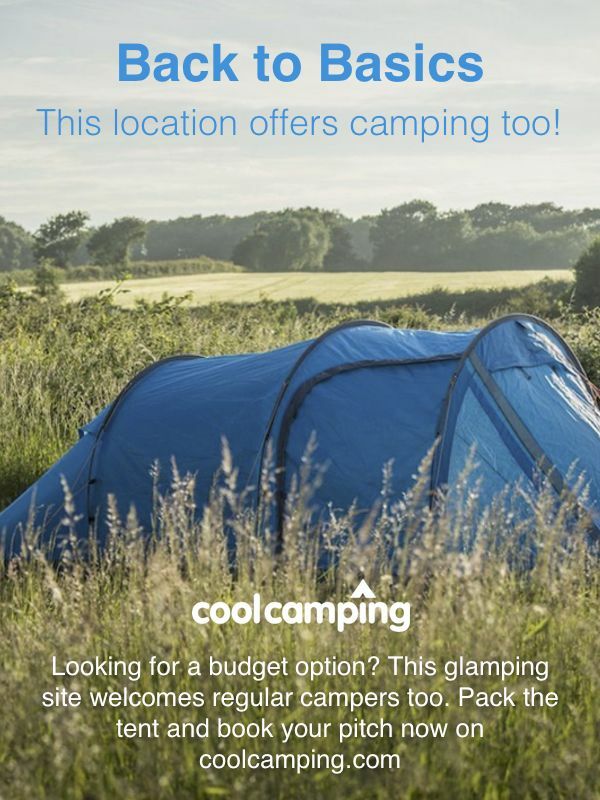 From the centre, you can grab a bus or taxi out of town to the campsite – ask for Dardilly. Over 100 shaded grass pitches, plus pre-pitched and fully furnished safari tents, mobile homes and gypsy caravans.